Ben 10 sport game. Ben 10 is trying to practice basketball for the Olympic competition. Ben's dream is to win the gold medal at the Olympics, so please help Ben to complete the exercise by throwing 21 balls hit into the basket at different distances. You can control Ben 10 with your mouse. If you want to play Ben 10 Basketball Star games online you have come to the right place! 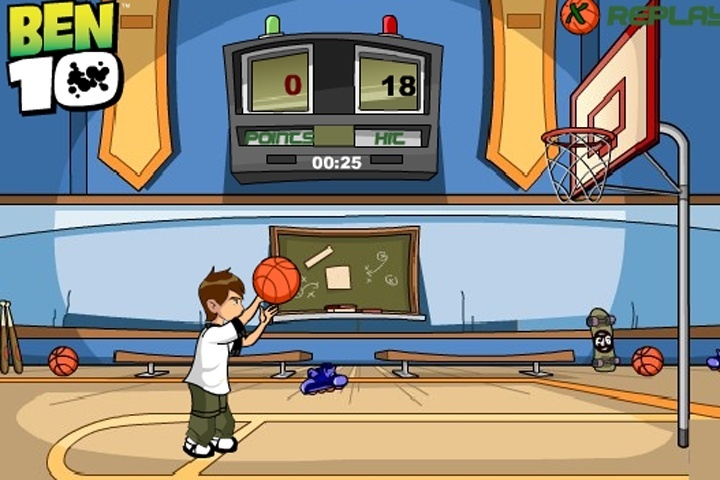 GamesLoon adds new Ben 10 Basketball Star games every week. This is your game portal where you can find the biggest collection of free Ben 10 Basketball Star games online. Do not forget to rate our Ben 10 Basketball Star free online games while playing!